18/10 stainless steel place spoon. 18/10 stainless steel place spoon. Approx. 7.5"L. Embellished with meticulously detailed braiding. Dishwasher safe. Imported. 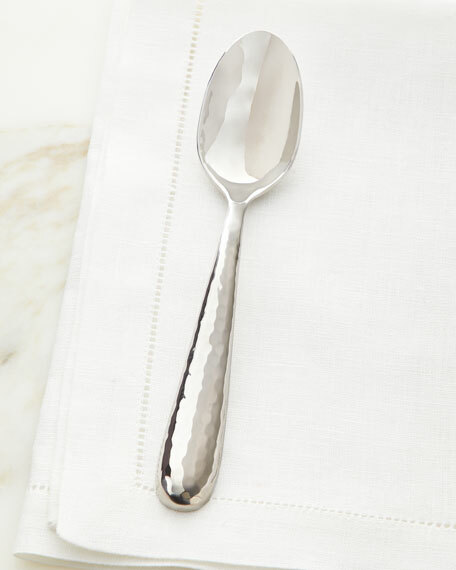 Stainless steel spoon with lustrous, hand-rubbed satin finish. Approx. 8"L. Perfectly weighted handle is decorated with a sophisticated medallion. Dishwasher safe. Imported.